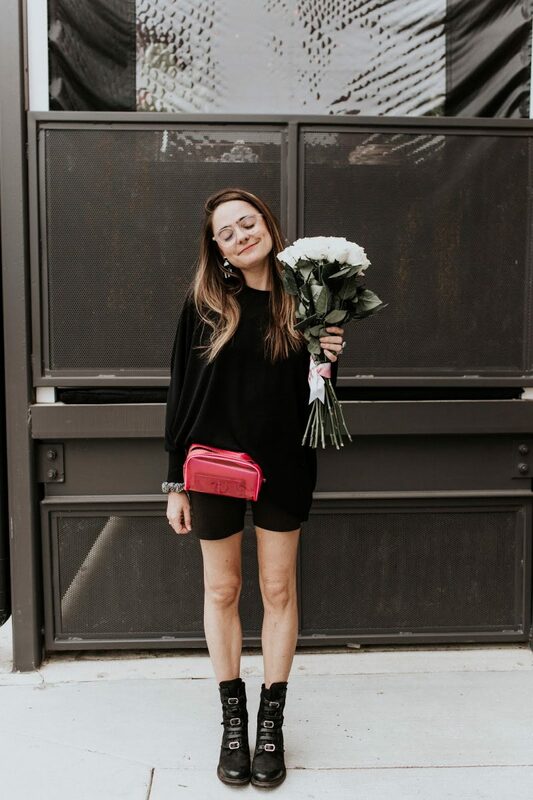 We are always going on and on about how we have a tendency to gravitate toward all black outfits, and that is certainly true. However, for me, I think I just have a habit of dressing mono-chromatically and that’s why I like the all black. Here, I still kept with the monochrome look, but instead used different shades of the color for the same effect. I love this Babe Town Free People Top (how sweet is the name?) and have been dying to wear it since I got it for my birthday, but alas, it is the middle of winter. Solution? Blazer. Always, blazer. Always, Theory Blazer. What’s your go-to piece no matter the season? Babe Town Top, Free People. Blazer, Theory. Black Denim, H&M. Bucket Bag, Silence & Noise. Sunnies, Celine (similar here). Platforms, Target.